Q: SEN has criticised wide angle lenses a few times recently and I was wondering, do wide angle lenses inherently reduce resolution and sharpness through distortion? A: Wide is great! As long as you need wide! In SEN’s test applications, 2.8mm focal lengths on typical sensor sizes are far larger than the target field of view. We end up recording tons of things we don’t need to see – walls, trees, sky, ceiling. But if you are looking across the grounds of a university quad or a factory floor or car yard, needs will be very different – you’ll want the full angle of view. The key thing wide angle lenses do is introduce barrel distortion and they do this because the lens is much larger than the sensor onto which it is focussing light. In order to fit a big image onto a small flat sensor, the lens incorporates pronounced curves that distort a big scene to fit everything onto a small sensor. For a given image height and width at the target, pixel spread softens the image. Pixels are limited and the more stuff packed into the scene, the lower the pixel resolution available to sense the reflection of light from each of these items will be. You see this most clearly when you zoom at 2.8mm as compared to zooming at 10mm – at the longer focal length the angle of view is smaller and the pixels available are denser so digital zooming is better – it’s simple really. 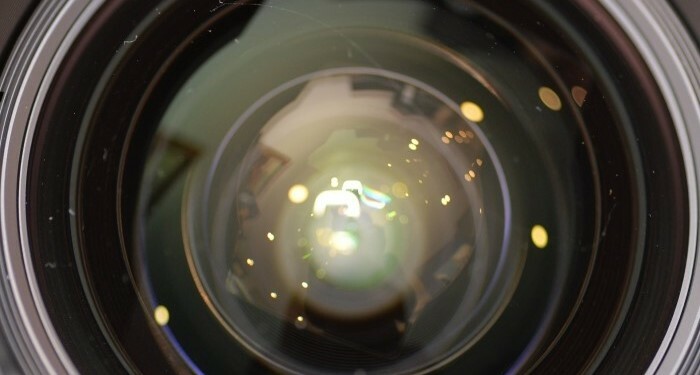 Those parts of a wide lens with the highest levels of distortion – stretching and bending – will also have the greatest pixel spread and will be softest when displayed, while offering the least useful digital zooming. With CCTV cameras, wide angles of view will be at their worst when digital enhancement is applied – pixels will be stretched and may be interpolated by software during tough times of the day, leading to excessive digital artefacts and pulses of noise created by the camera system trying to fill gaps in data the sensor is providing. Optically, wides tend to be worse with CAs and are prone to flare. But there are times when nothing else will do, so don’t be down on wide angle lenses. Just make sure you apply them thoughtfully, taking into account their strength at situational awareness and their weakness with faces and plates at middle and longer distances. Be sure to bear in mind sensor resolution plays a big part – the higher the sensor resolutions, the more effective digital zoom will be with short focal lengths. Given sufficient light, what is not good enough at 1080p might be just perfect at 4K. If you have any doubts, hop onto your system and drive cameras at their shortest varifocal lengths – you’ll quickly what works for you and what doesn’t.